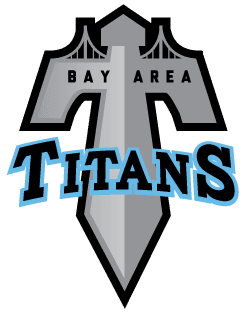 The Bay Area Titans is a non profit youth sports program whose mission is to bring honesty and integrity to youth athletics through teaching kids how to be the best athletes without excuses and short cuts. Our teams maintain our detailed focus on complete player development through intense practices while competing in tournaments locally and along the west coast. Our coaches have a proven track record of success in developing players for the next level and are dedicated to making the Titans one of the top programs in Northern California.